BowelBiotics+ with Digestive Enzymes is an unique high fibre powder formulated for a healthy stomach and naturally healthy bowels and is very important on the hCG program to keep the bowels moving daily. We find many times over that on a low calorie diet, the bowels can become quite sluggish. Moving the bowels daily avoids sluggishness in mind and body. Serving Suggestion: Adults: Mix 4 rounded teaspoons (10g) twice daily with a glass of water, stir well and consume immediately. Always follow this up with a further glass of water. 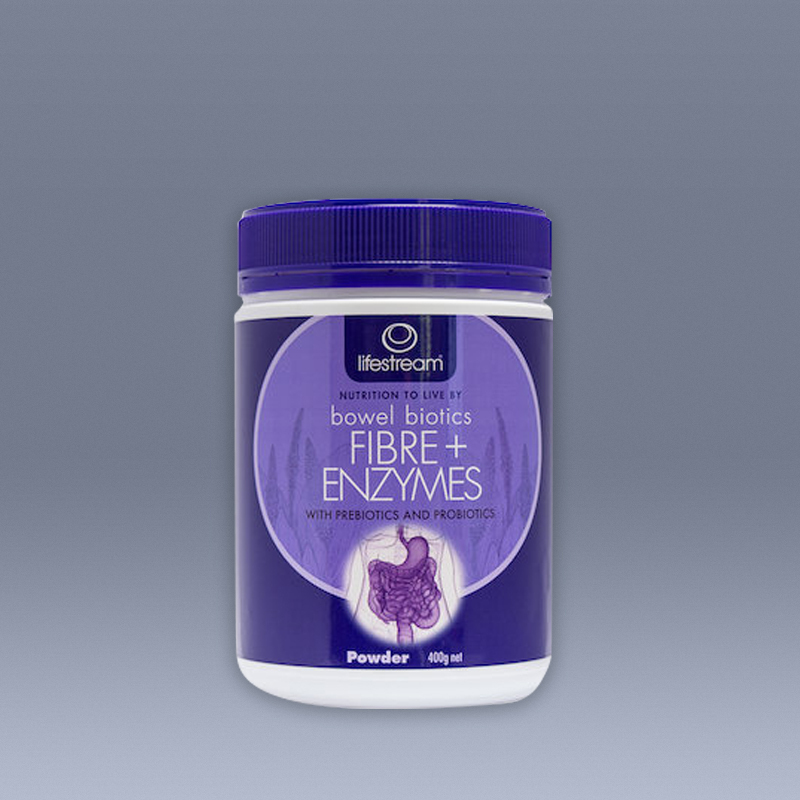 General Guidelines: It is recommended to take Lifestream BowelBiotics+ with Digestive Enzymes 20 minutes before a meal or taken alone.